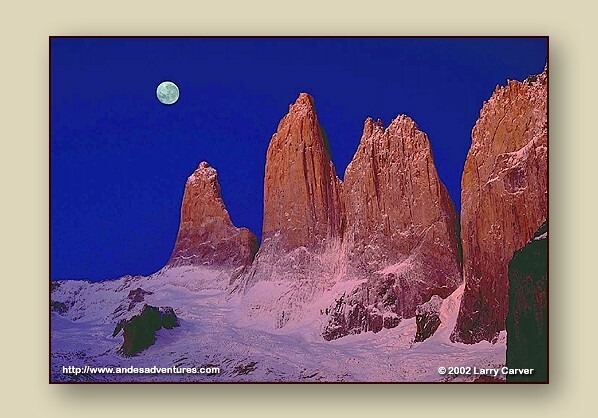 The spectacular granite "towers" in Torres del Paine National Park. At the base of the famous Torres del Paine, with views of Torre Sur (9,350'), Torre Central (9,186') and Torre Norte (8,350'). These granite monoliths are one of the great scenic wonders of the world.